I am Jennifer Baker Wilson and I have been a horse crazy girl ever since I was old enough to know what a horse was. Unlike most little girls, as I grew older, I never grew out of it! I was fortunate enough to be introduced to the world of Arabian horses when I was 8 years old and I have been hooked ever since. I spent my youth and teenage years working with and showing Arabian horses. My favorite class was always the Native costume class; though, I also showed Country pleasure, English pleasure, halter, showmanship and the occasional Western and Hunter classes. In my youth years, I won hundreds of first places, countless championships, several Regional and East Coast top 5's and many, many year end high point awards and youth/horse of the year awards. A major life change in my very early 20's deemed it necessary to sell my horses. I sold my precious Arabian costumes on eBay and incidentally stumbled upon the model horse hobby. Seeing these fabulous miniature scale costumes, I was amazed at what people could do! I decided I could do just as good or better as I had such a working knowledge of what the Arabian costume was, so I tried my hand at it, producing my first costume in late fall of 1999. By 2001, my work was NAN Qualifying consistently and my costumes were becoming well known. My costumes debuted at the NAN (North American National) show in 2004 and took home the Championship (as well as several Top 10s) in both the CM and the OF divisions. In the many years since, my work has placed incredibly well at NAN on an annual basis and has earned hundreds, if not thousands, of NAN qualifications! In spring of 2004, I had the opportunity to reenter the Arabian horse world when I purchased a lovely mare from fellow model artist, Thomas Bainbridge. The Sweet Rose has been the foundation mare of anyone’s dreams and has produced not only regional and national champion foals, but also one of the most successful Half Arabian halter geldings in the history of the breed. Today, my husband and I run an expanding Arabian farm where we produce one or two foals a year, concentrating on the utmost in quality. You can visit them here: Zenith Farms. On July 12, 2007 we welcomed our son Austin to the family. Shortly thereafter, I decided to pursue my degree in teaching. In just under four years, I obtained both my bachelor’s and my master’s degrees (I do not recommend that grueling pace to anyone!) During this time, in February of 2012, our daughter, Kathryn arrived. I settled into my new career as a teacher. We moved to a larger house and larger farm. In our adventured, we welcomed unexpected twins to the horse family. 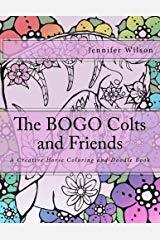 Majus and Majician have become known as The BOGO Colts and have a Facebook following, a narrative nonfiction novella, several coloring books, and an entire merchandise line based on their amazing journey of survival. (Hello, Breyer!!) Shortly after welcoming our twins to the farm, we welcomed our third child, Savannah. Now, three years later, life has settled down. My career is established, the farm is expanding beautifully, and the children are at ages where they are fairly self-sufficient. Finally, I am back in the studio!